Two years ago, when Agram.m posted a Croix à la Jeannette on Show & Tell, we knew a discerning collector had just joined our growing community. Based in Europe, Agram.m quickly became our site’s most vocal champion of Georgian, Victorian, and Edwardian jewelry. She was especially fond of micro mosaics from the 19th century. With each of her hundreds of posts and comments, Agram.m has increased the knowledge base of those who appreciate the history, workmanship, and beauty of fine jewelry. Here is her report from a recent visit to the Schmuckmuseum in Germany. Recently, I visited the Schmuckmuseum in Pforzheim, Germany (see slideshow below), which is the world’s only museum devoted entirely to jewelry (the translation of Schmuckmuseum from German to English is ‘jewelry museum’). The jewelry tradition in Pforzheim goes back to 1767, when Karl Friedrich, the Grand Duke of Baden, gave his blessing to the jewelry and watchmaking trades. The core of the Schmuckmuseum’s collection was amassed in the late 19th century by the Groβherzoglich-Badische Kuntstgewerbeschule (School for the Applied Arts), which acquired original examples of old pieces for study by its students, as well as the Revival Style designers employed by Pforzheim’s numerous jewelry factories. Today, the Schmuckmuseum’s collection contains thousands of historical and contemporary items from Greek, Etruscan, and Roman antiquity; the Renaissance and Baroque eras; and the Art Nouveau period, which is known in Germany as Jugendstil. The earliest pieces in the Pforzheim collection date from the latter half of the third millennium BC; the most recent ones were created in 2004. In addition, the museum holds almost 1,200 rings from ancient Persia, Asia Minor, Egypt, Greece, Rome, and all periods of European history up to the present. Also at the Schmuckmuseum is a precious collection consisting of bracelets, pocket watches, and watches worn as decorative accessories; for example, as pendants or set in rings. There’s also a fine collection of ethnographic jewelry brought together by Pforzheim collectors Eva and Peter Herion over a period of more than 30 years; the Herion collection is on view at the museum as a semi-permanent exhibition. Thanks to the pieces acquired in the 19th century, as well as subsequent private donations and ongoing support from the International Society of the Friends of the Pforzheim Jewelry Museum, the holdings of the Schmuckmuseum are easily on the same level as jewelry collections found at the Victoria & Albert Museum in London and the Musée des Arts Décoratifs in Paris. 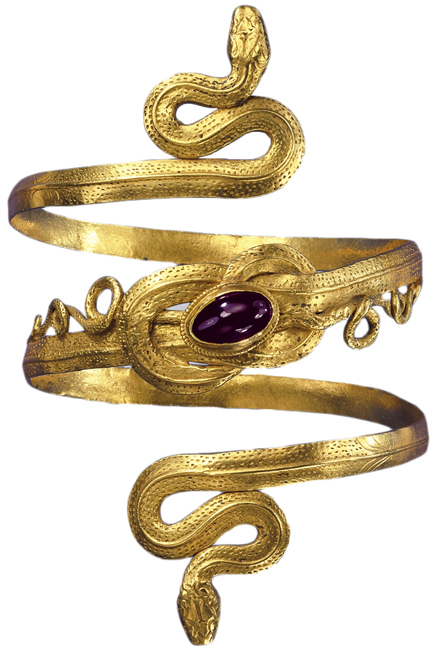 Gold snake bracelet with garnet, from the Greek-Hellenistic period, 3rd-to-2nd century BC. 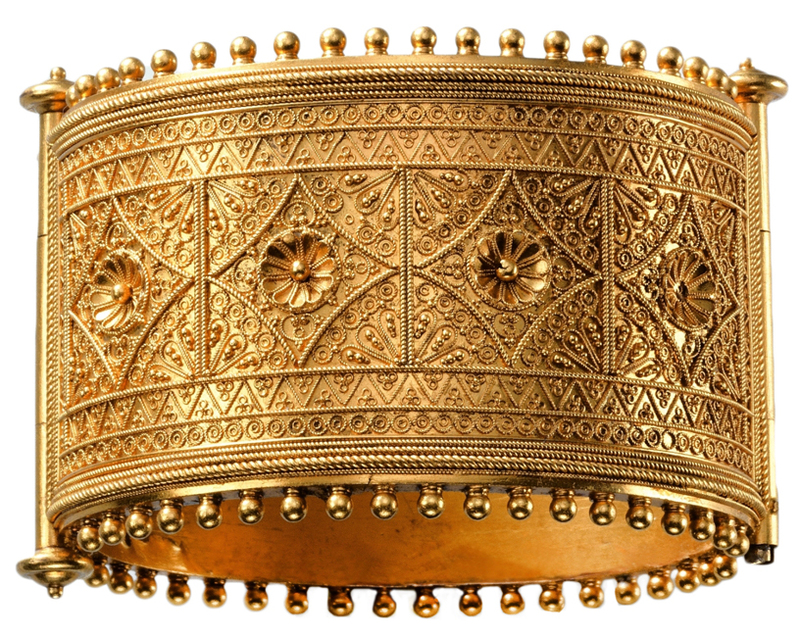 Gold Greek and Etruscan Revivalist hinged bangle, maker unknown, 1880 to 1885. A circa 1770 pocket watch with works by Pierre Viala, Geneva. The exterior features gold, silver, diamonds, glass, and enamels. 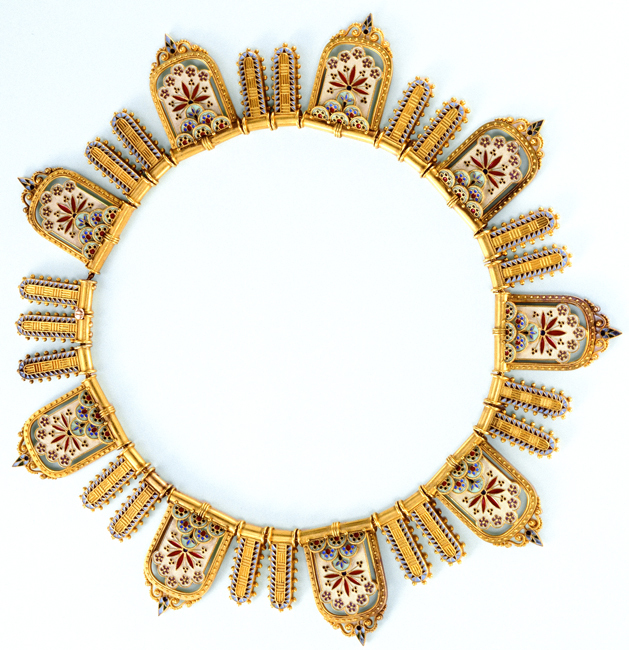 Gold and enamel necklace attributed to Giacinto Melillo, Napoli, 1870 to 1880, features nine large escutcheons and incorporates decorative elements from antiquity to the Renaissance. 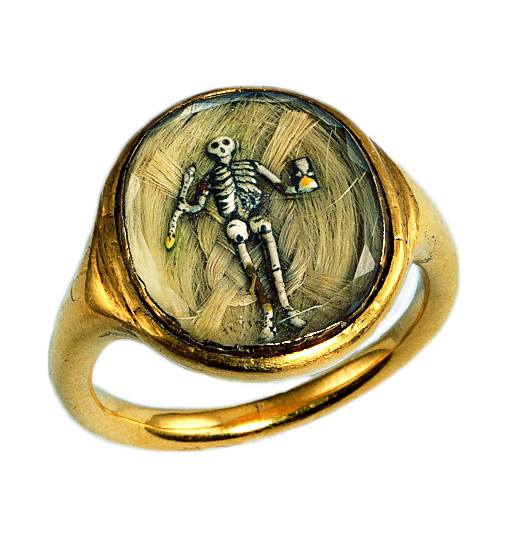 Memento mori gold ring with enamels, rock crystal, and hair from 17th-century England. 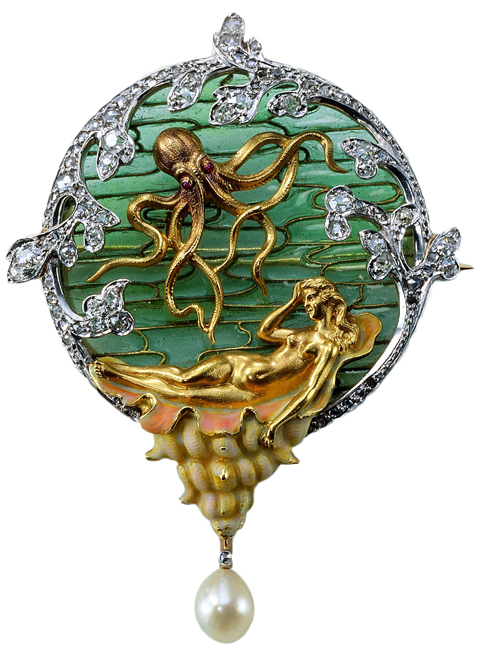 This Louis Aucoc brooch, Paris, 1898 to 1900, uses gold, diamonds, rubies, pearls, and plique à jour enamel. 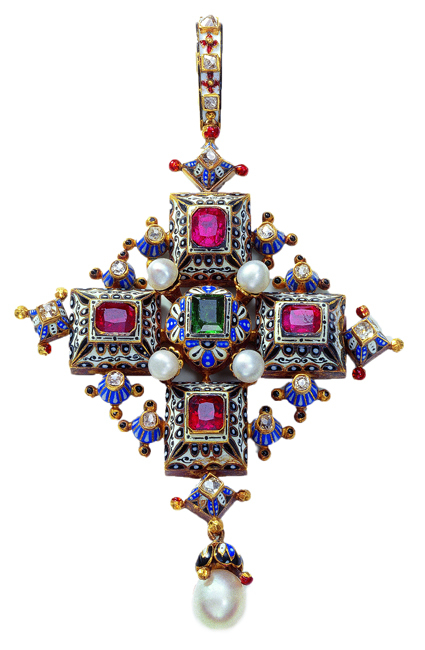 An Ernesto Rinzi pendant from 1860 to 1865, made of gold, rubies, emerald, diamonds, pearls, and enamel. The cruciform design is reminiscent of crosses from the first half of the 16th century. 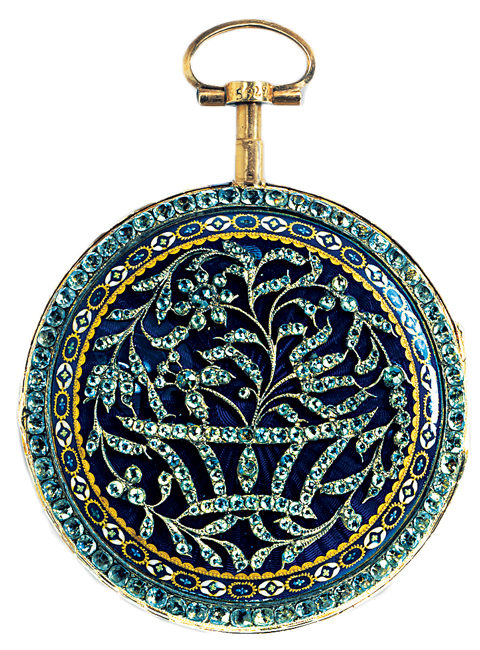 A micro mosaic glass locket, probably from Rome, circa 1875. 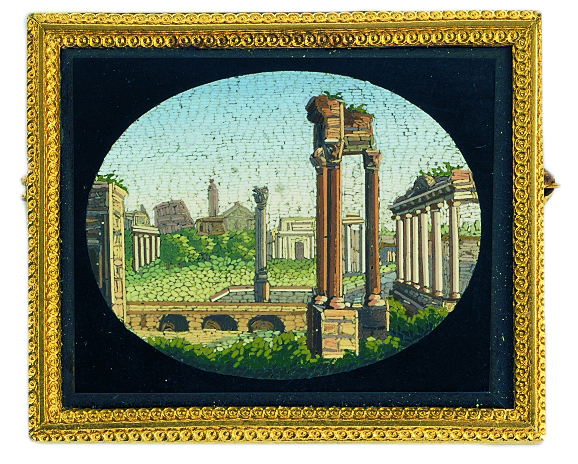 This micro mosaic glass was probably made in Rome or Naples around 1830. 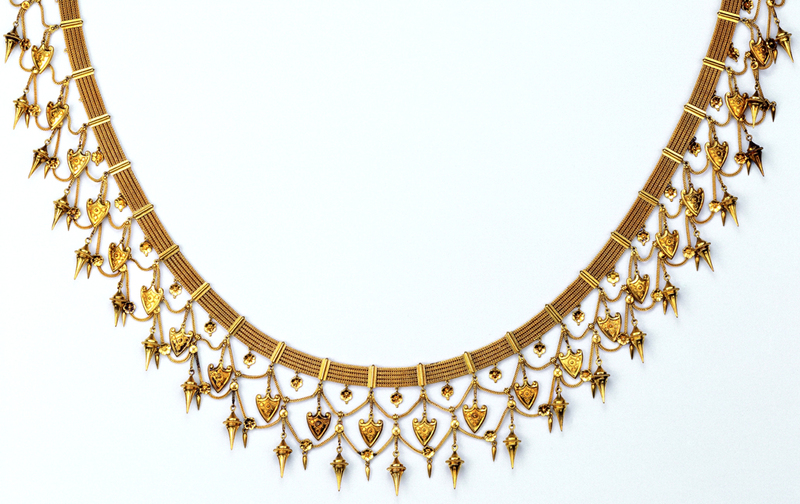 This silver gilt necklace by August Kiehnle, Pforzheim, circa 1885, is in the archeological revival style, borrowing from Greek jewelry of the 4th century BC. 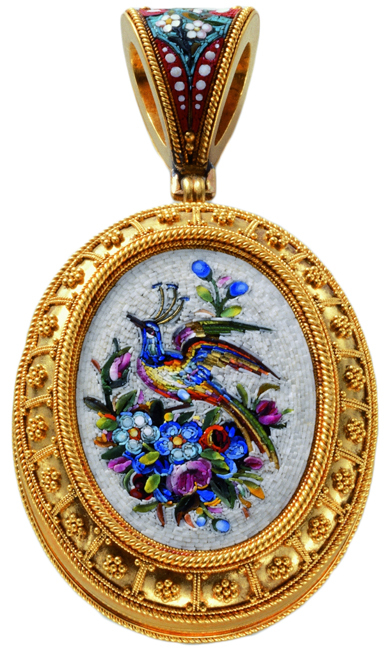 A gold and enamel trompe l’oeil enamel mosaic pendant by Rozet & Fischmeister, Vienna, circa 1905. 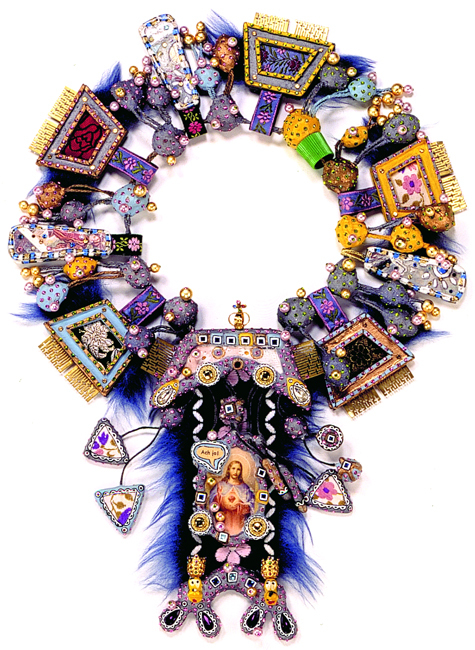 A contemporary necklace by Wolli Lieglein, Berlin, from the early 1990s. The Schmuckmuseum Pforzheim is part of the Reuchlinhaus, which was designed by Manfred Lehmbruck and built between 1957 and 1961. 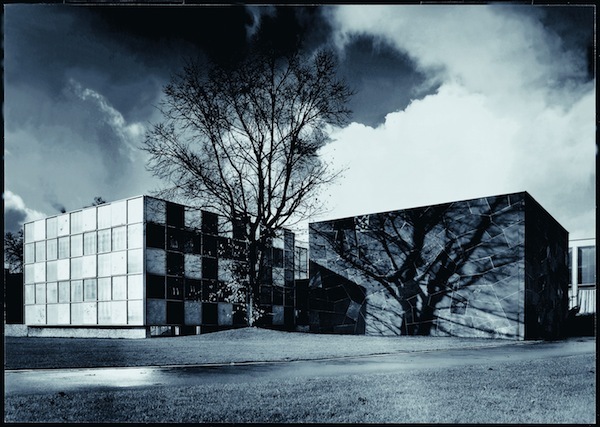 The left cube houses the historical collection, the right cube is home to a collection amassed by Eva and Peter Herion, a Pforzheim couple who collected jewelry while traveling extensively in Africa, Asia, the Near East, and Oceania. We’d like to thank Agram.m for bringing this amazing resource to our attention. For her part, Agram.m would like to thank Isabel Schmidt-Mappes from the Schmuckmuseum Pforzheim, AR8Jason, and MrsAR8Jason. FYI … Sallie Mackey is also known as MRSAR8Jason, also of CW’s Show and Tell. Beautiful pictures to go with your article. Very nice Agram.m. Thank you. The jewelry museum is like a miracle! Unbelieveable! The museum is a great place to visit, and these photos are a treat! Thanks, Agram.m! I can’t wait to visit this museum! Thank you for sharing your knowledge on CW. I have always been intrigued by antiquities of almost any type…but this jewelry takes my breath away! Thank you so very much for making this experience possible! The Pforzheim jewelry museum is beyond incredible and a must-see for anyone interested in the subject. They especially excel in Renaissance and other pre-Georgian jewelry with possibly the best collection of those eras, including the V&A. Also some marvellous Art Nouveau items from France. However, I was very disappointed and surprised that their collection of Pforzheim jewelry from circa 1900 era is very small and not terribly illustrative. That’s exactly what I went there to see – it is Pforzheim after all. “ ” On closer inspection, the patterns of coloration on every little scale of its wings make it spectacular.